Everybody loves a scrambler, always have, always will. It’s no new thing, just an old trend coming back round. Street scramblers were invented in southern California in the 60s; Mojave desert racers – cool as you like. 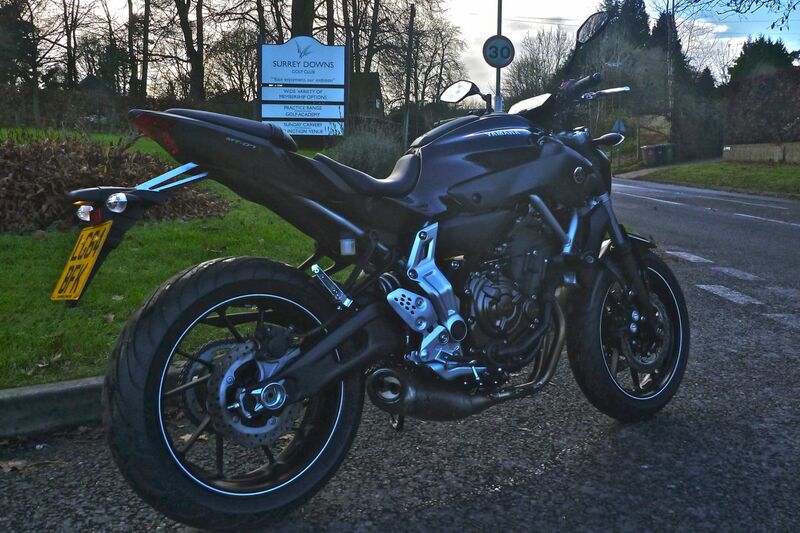 Slap on some wide bars and trail tyres, lower the gearing and you’re street scrambling for real. On Any Sunday. 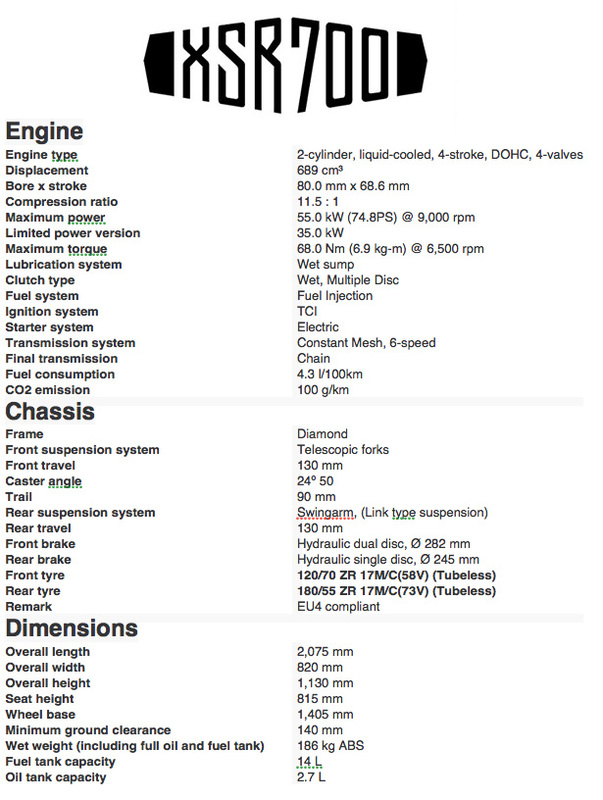 I remember checking out a Ducati 450 Scrambler in the late 70s; even by then it had become a legendary machine. 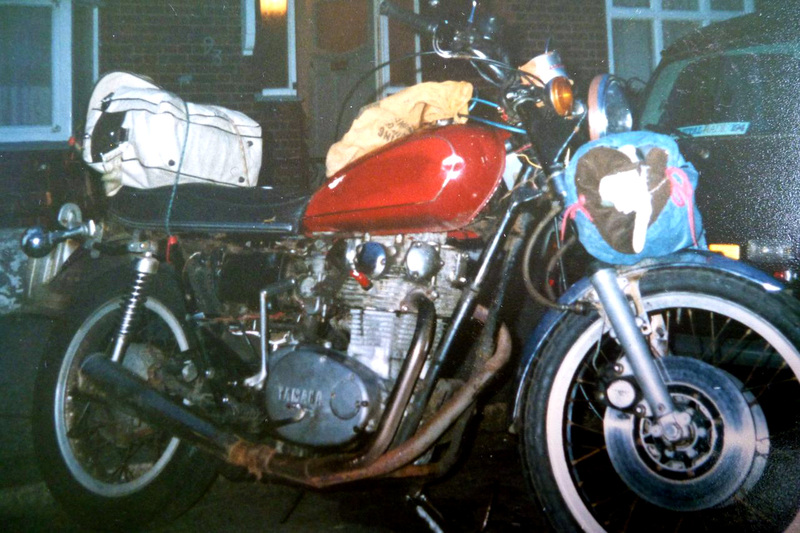 And I remember my first XS650 bought a few years later (left). One of my all-time favourite bikes; a Jap Bonnie wheeled home in two parts for 120 quid and reassembled in a basement. Took three of us to get it back onto the street, but it was worth it. 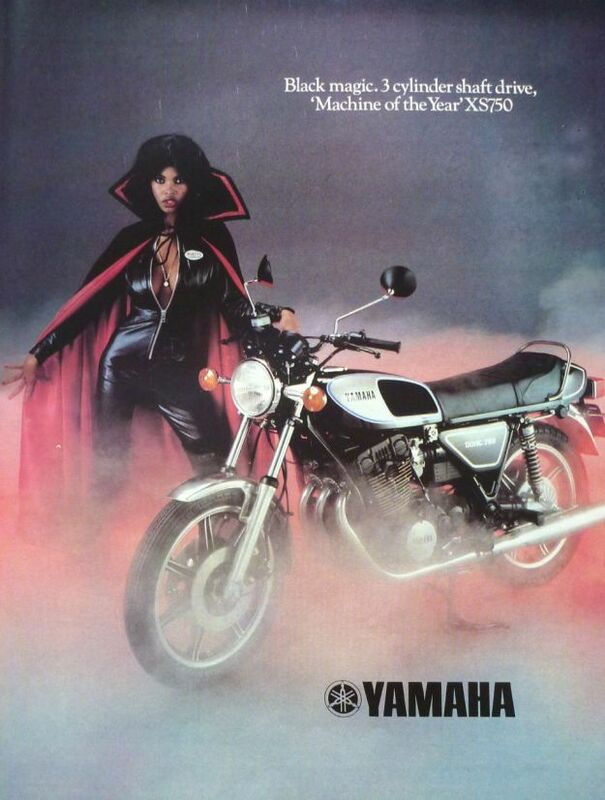 Incredibly, the XS was Yamaha’s flagship until the ‘Supershaft’ XS750 triple came out in ’76 (right). 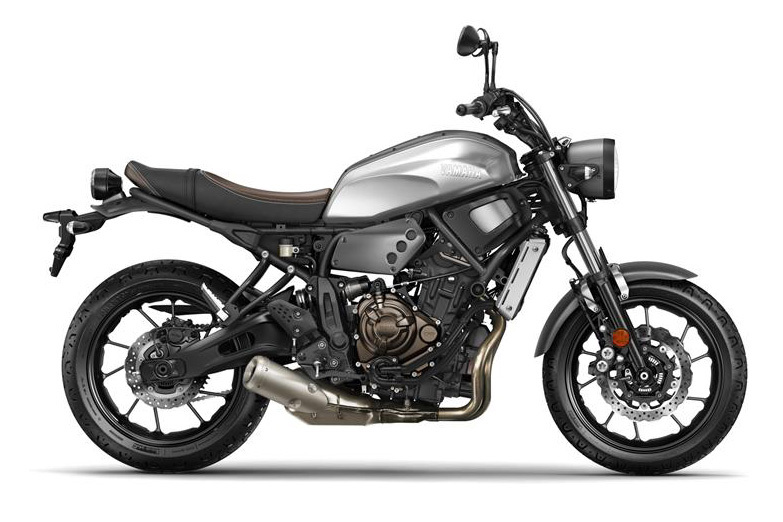 Catapult forward like a snapping bungy and Yamaha’s XSR700 is claiming it to be ‘the new XS650’, even if it’s really just an MT-07 makeover. 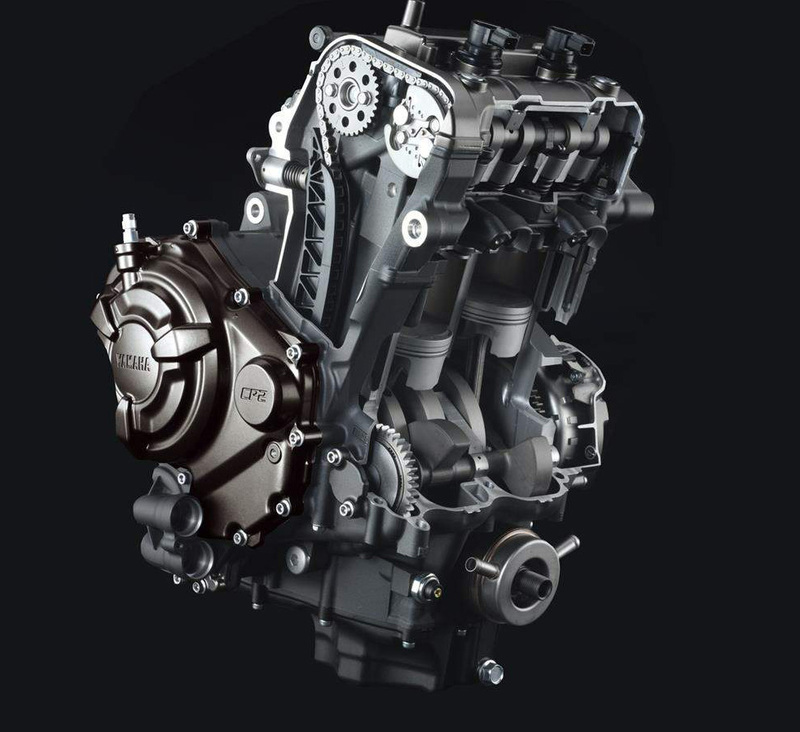 As you can read here, my quick spin on an MT-07 (left) a couple of years back confirmed that there is no such thing as a dislikable parallel twin with a 270° crank (right); all the throb of a wide-angle V-twin without the complexity and space issues. My TDM900 proved that point, even if it was a heavy road bike. More on torquey Yamaha 270s here. 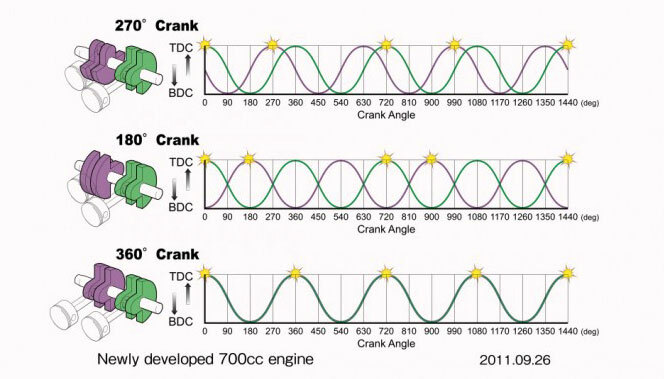 One benefit of a 270 compared to 180s and 360s is that when one piston stops to change direction, the other is always mid-stroke, helping maintain smooth, uninterrupted momentum and driving force. 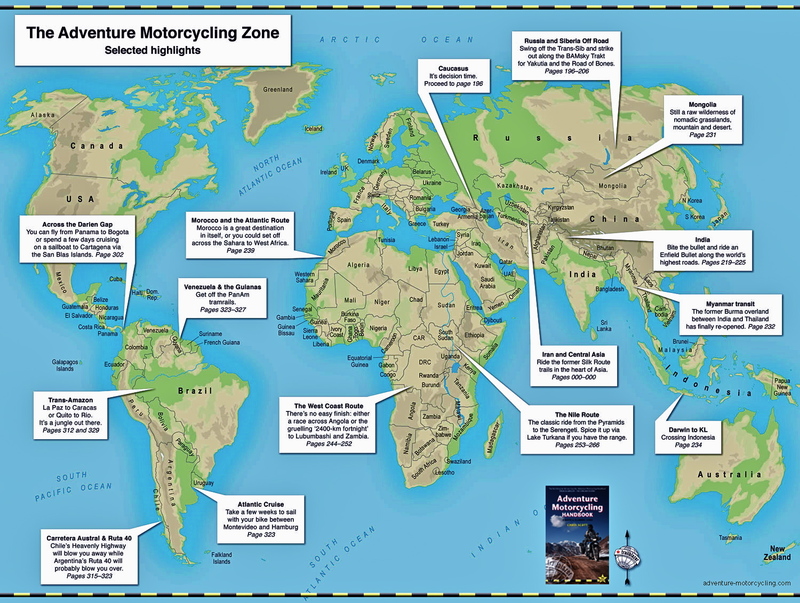 Earlier in 2017, riding through Morocco on my WR250R with less speed and comfort than I’d wish, my mind started wandering… In advance of the same engine coming out in the XT700 and T7 Ténéré I wondered if anyone had tried shoehorning an MT-07 (‘FZ-07’ in US) into a lighter chassis, as some have successfully done with the CB500X motors into CRF250L frames? Sure enough, on advrider’s ‘Needs Some Assembly’ forum, a guy is on it; chipping away at the myriad problems in working the tall, 685-cc twin into a hand made chassis and with a 690 back end and tank. I lack everything it takes to pull off something like that – plus it’s a project that’ll never cover its costs. BTDT. 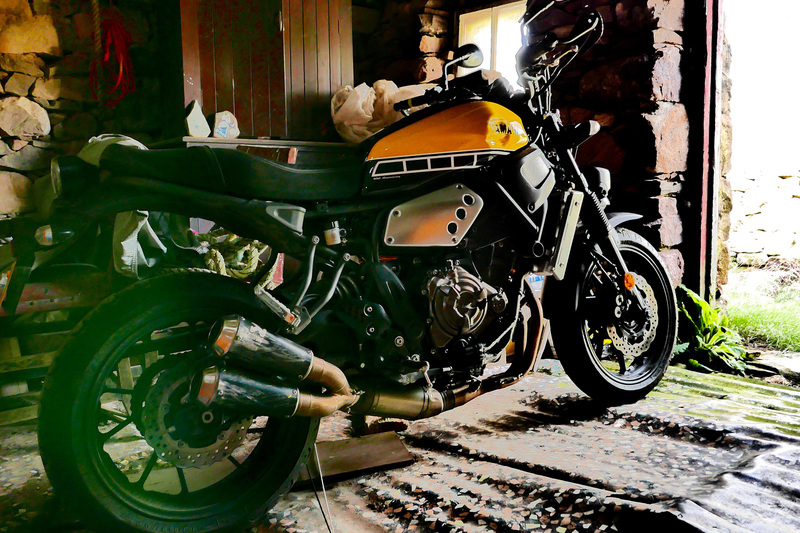 But perhaps the more retro-styled XSR variant of the MT-07 could be lightly modified to make a gravel-biking scrambler: wide bars, some protection, a bigger front wheel and trail tyres, Mohave style. 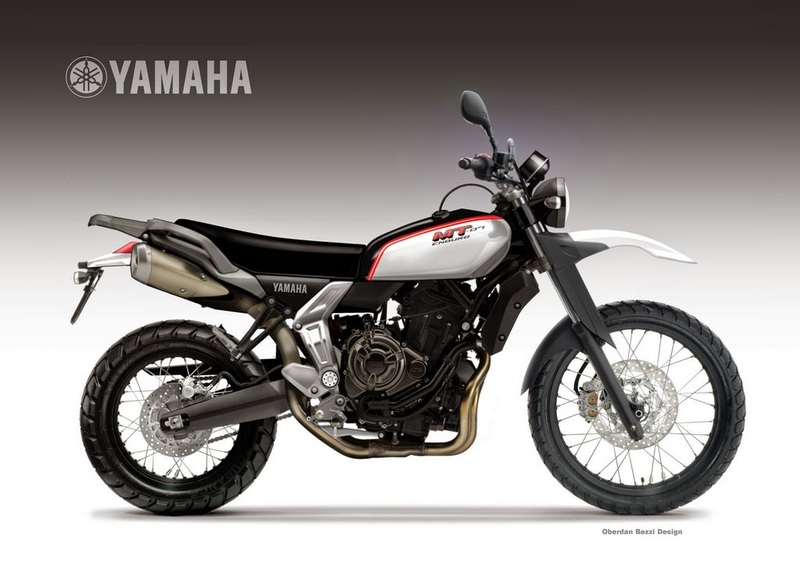 A bit like the concept bike on the right evoking the original XT500. How hard can it be?